How have I not shared this card? It just feels like summer to me, with the bring colours and that happy flower. Here you go. 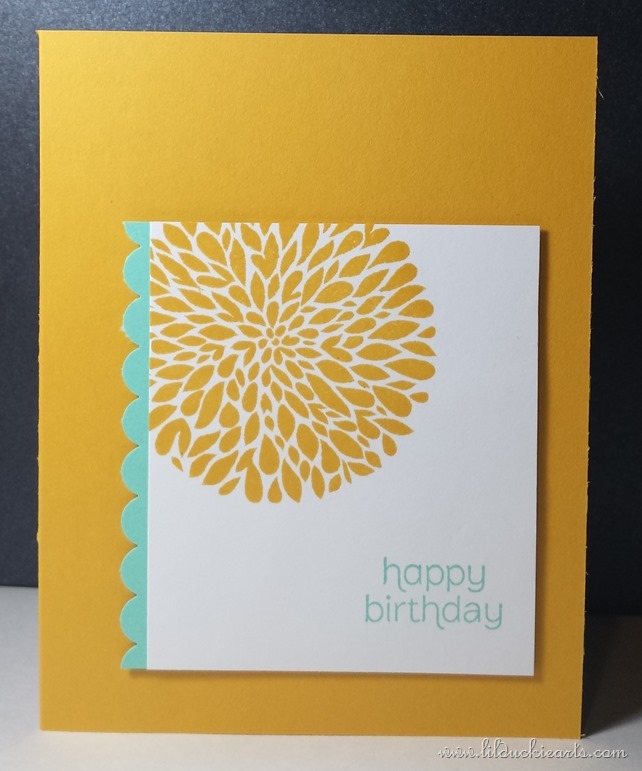 I’m thinking I didn’t share because that big bold flower stamp has been discontinued, but don’t worry, there’s something similar to take its place. 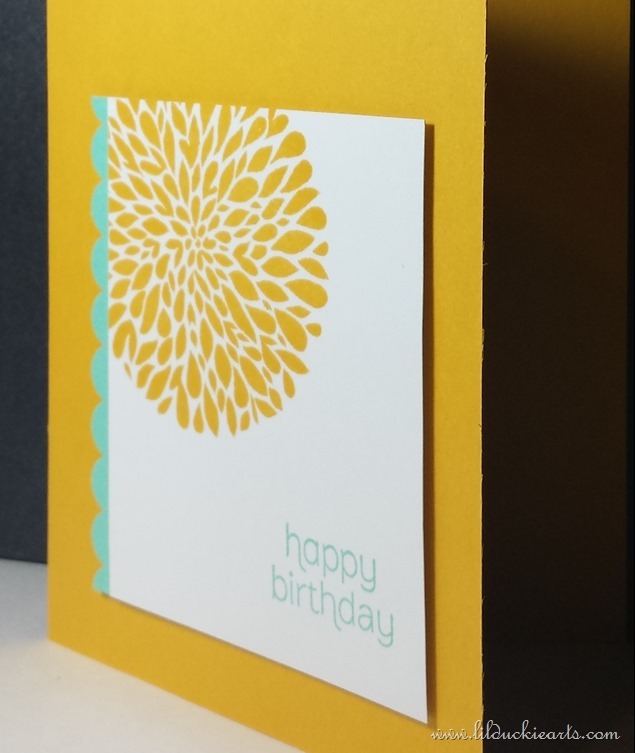 Need a quick but beautiful birthday card? This is totally your answer. You can do this in all different colours. Strawberry Slush plus Coastal Cabana is pretty spectacular too. This entry was posted in birthday, card and tagged birthday, card, Clean and Simple, summer. Bookmark the permalink.